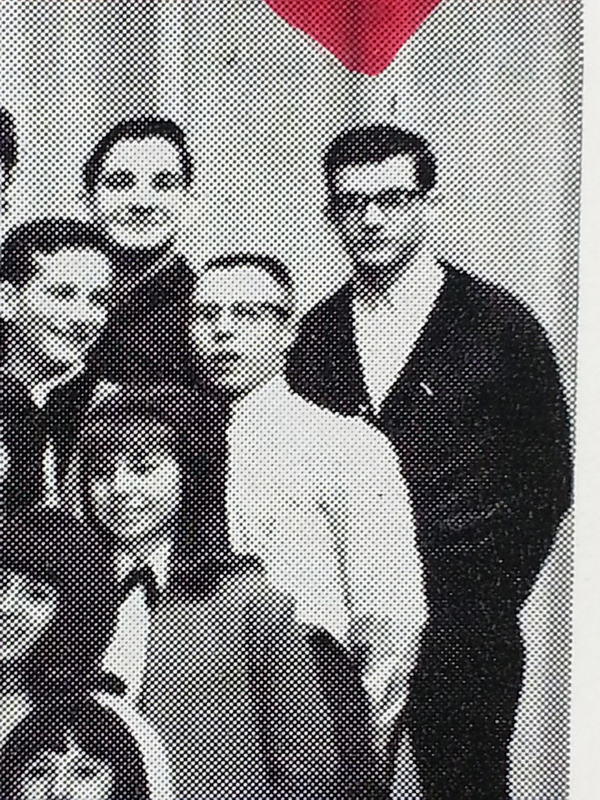 Feldman Fails to Enter Washington HS Wall of Fame | Whad'ya Know? The ceremony is on the 24th and it’s the 10th already, so it seems pretty clear I will not be making the Milwaukee Washington HS wall of Fame this go ’round. Bud Selig is in there and Gene Wilder, and others, I imagine, never seen it. It was all I could do to get out in ’66, I’m not going back at 66. But my brother Howard, ’56, believes in the right of return and in the wall–showcase–of fame, and believes little Michael deserves to be in it. I don’t know, I’m not commisioner of baseball nor have I danced to putting on the ritz with Frankenstein’s monster. I can do the monster’s “PUTTIN-ONTHA-RIITTH! !–pretty good, but the tap with high hat and cane is not that easy. Howard was adamant about it, in light of his coming back for another damn reunion (I mean the attrition is getting pretty bad) this fall and told me he expects to point out his brother up on the wall to a WHS survivor who doesn’t even remember who he is. So, against my better judgement had I any, I let my name be put in contention. The fact that my inquisitor’s sister had gone out with my brother Clayton in ’54 got things off on the wrong, not even my, foot. Clayton said she dumped him for a Great Lakes sailor who piped her on board as it were. That should not be my problem, nor even Clayton’s, really, 60 years being the statute of limitations on heavy petting aka tripping on the bag rounding second. Then the inevitable somebody said, this one being that I had said something negative about Washington, the Purgolder experience or possibly Principal Arlie Schardt and his damn red rubber ball in the jar of beans, “shake your beans and your ball shall rise to the top.” Perhaps the offhand remark, 5 or 600 times, that we had to swim naked and, hence, I never learned the backstroke. 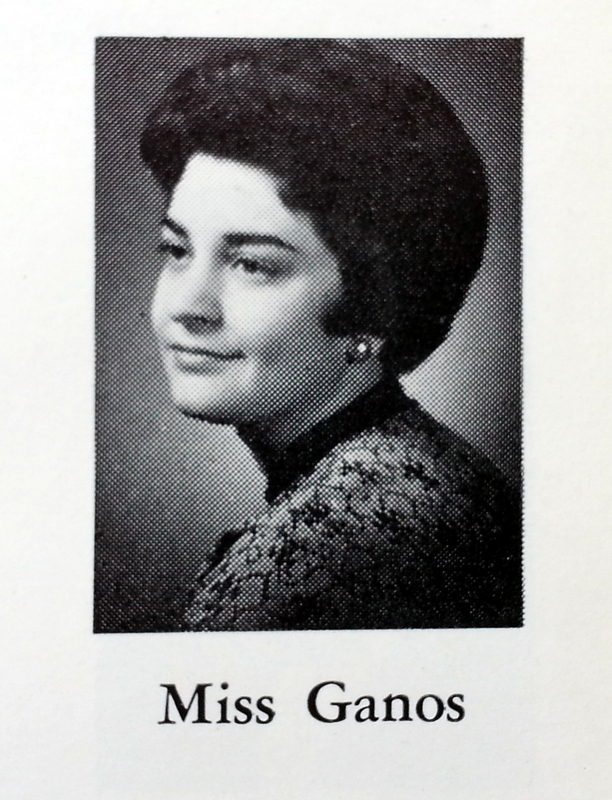 OK and the unfortunate “Miss Ganos has a Nice Anos” on my folder, but it was the nearest rhyme that worked. The vice principal gave me an overview on the Spanish Civil War for that one, still don’t know why, guess it was just on his mind. Mr. Tolkan, Bob, was much more serious than his famous brother Phil Tolkan, he of the Phil Tolkan Singing Pontiacs. Or it might have been something else. I don’t know, for me going up the steps to Washington High was a lot like people must have felt passing under the Work Shall Set You Free sign. My last best hope to make my case for the case was the brief essay requested: what Washington did, or possibly meant, to me. That’s just asking for trouble. But here it is–you be the judge. I’ll say this–it sounds like me. And isn’t that what Alma Mater Washington is all about? 6 semesters of Spanish club, have no idea why unless it was Sandy Chavez. Stage Crew, best thing to get on since David Gregory could call your classroom and say you’re needed backstage. Loved it, learned a little about lighting and which rope to pull, etc. Host 1965 Tonia Toppers Variety Show, was NY, NY or possibly IC, IOWA. Wrote the skits, wore the tux, under the able guidance of Ms. Georgia Ganos, now Glaser. Ron Glaser, btw, should be in this case. Great ballplayer. 4th of Feldman boys to attend WHS after Clayton ’54 (est) Howard ’57 (or so) Arthur who should have graduated in ’61, and me class of ’66. While we’ve never compared, because Feldmans don’t do that, I believe my 3.8725* average led the pack. *should have been straight A but my new to teaching American History teacher gave me a B because she said it was too easy for me. And who’s fault was that? Went out for tennis got seeded Ricky Dominitz, large but a killer athlete in all sports, hence never even numeraled and just wore the jacket to change oil in later years. Recent life experience: since 1985 hosted “Whad’ya Know” on Wisconsin Public Radio, syndicated nationally on Public Radio International. Married to wife Sandy since 1984 with 2 very nearly fully grown daughters Ellie and Nora, all of Madison. This entry was posted on April 10, 2014 at 11:50 am and is filed under Uncategorized. You can subscribe via RSS 2.0 feed to this post's comments. Both comments and pings are currently closed.